Lose the cellulite - NOT your smooth and moisturized skin. When reducing cellulite the last thing that a person would want is that the skin dehydrates. Since some cellulite gels or creams only reduce the water content of tissue, it sometimes leads to a dehydrated and crepey looking skin. Cellumend on the other hand works on various levels, and although it also helps to remove excess water, it helps to get to the root of the problem, and moves toxins and waste build-up from the tissue as well, without dehydrating the skin. 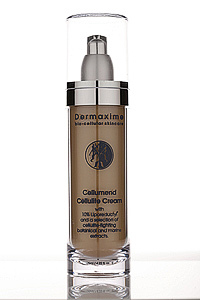 But Cellumend also helps to hydrate and moisturize the skin while getting rid of cellulite. Since we do not believe in empty promises, the effectiveness of skin hydration and the moisturizing effect of Cellumend was tested clinically to determine the effectiveness. From the above graph a person can see that the moisturizing index of the skin, during the clinical tests, increased by an average of 9.5%. Although 9.5% may not sound like a massive increase in hydration, this in actual fact is a very significant level to achieve. This effect that was achieved further shows that Cellumend is not a quick gimmicky type of product, but a very well researched and tested product - which not only is effective in reducing cellulite, but also looking after the peripheral problems and sorting them out. 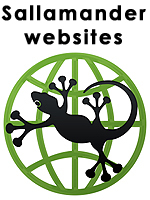 As the owners of Cellumend, we believe in only manufacturing and selling effective products, and also supplying FREE information on various topics to clients. Although Cellumend is the most effective cellulite product on the market, we also provide free information on how to lose cellulite even faster. By just using the Cellumend cream you will achieve wonderful results, but in conjunction with the other free guidelines, you will achieve your perfect body contours in a far quicker time. 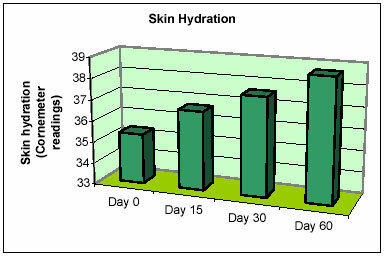 The following instrumental measurements were taken during the clinical trials to test the reduction of buttock and thigh circumference and thigh size as well as the loss of extracellular water, body fat mass, the increase and improvement of skin elasticity as well as moisture and hydration. To view the results, please click the hyperlink below.